There really isn’t a need to reiterate what we said before about fashion being a business but hey, one more time wont hurt. I recall moderating a talk for HEVA Fund, “Finance for the Creative Sector” and our topic was “East African fashion business prospects: What next after mitumba (used clothes? 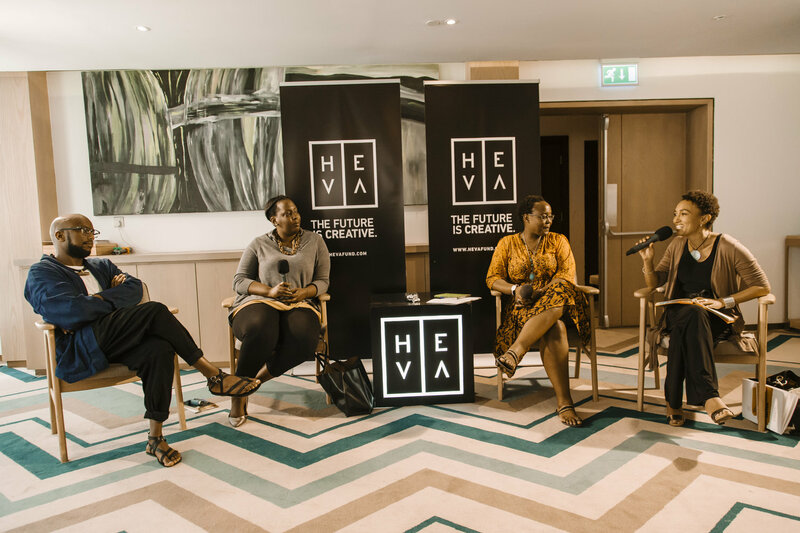 ).” The panelists were Sunny Dolat (Read our interview with him here: Creative Strategist and Board Member of HEVA Fund), Linda Mukangoga (Creative Director and CEO of Haute Baso, Rwanda) and Wandia Gichuru (Managing Director of Vivo Activewear Ltd). So a question was asked from the audience on how he could get away with the business technicalities of business for someone who is a creative at heart. As a whole, all the panellists agreed that there is no way to go around those “technicalities’” (i.e there is no shortcut to running a business). Sunny even remarked how difficult it is to open up a forum for investment for creative businesses only to be stuck when an applicant does not have the bare minimum: registered business and registered name, certificate or documentation on the business. Sunny further remarked on how difficult it becomes to provide funding for a ‘business’ that has no financial records. Now you might grunt and sigh at the thought of keeping your financial records in order, filing receipts and knowing the cash flow of your business but if you are indeed seeking funding, as Sunny mentioned, how can an investor know the health of your business if you have nothing to show. This now brings me to these next two months. We want to provide more in-depth looks into the business world and how we can provide insights and tools on what it really means. Once you are able to create the backbone and foundation of your business, the rest is the building blocks needed to grow. Irrespective of if you are running a stylist business, photography studio or a fashion line, business is business. As the panelists above mentioned, there is no shortcut to business. Fashion, as well as any other sector, has its business elements and documentation that one should have at the ready for buyers and customers locally and internationally. Financial documents like cash flows and balance sheets, to payment vouchers and invoices may seem such a drab compared to sketching your new collection and being inspired by the sights and sounds of the ocean. The truth is that those sketches need to come to life and make you money so you can go back to the beach to get some more inspiration. I recall watching a TED talk recently (although an oldie but goodie) (which I can never get enough of) on how to multiply your time by Rory Vaden (see talk here). I would highly recommend watching it but that aside there is one thing he mentioned that I would like to highlight when speaking of business and fashion. He states that in order to ‘multiply’ your time, creating systems and automating operations can gain you hours. What does this have to do with business and finances and other drab necessary tasks? Well, if you create the systems or automate these tasks by investing time initially, then it wont seem like insurmountable tasks to be done every month. Additionally, you can hire an accountant or a marketer or a sales person to do what you may not be so good at. These are some of the things we will be looking into this month to get you, the designer or creative in the fashion industry, ready to look at the industry and your business in a different light. We will take you through how to start your business and what the real cost of it is so that you can be fully aware when you decide to delve into it or revive what you already have. As a designer, it’s crucial to know your fabrics/materials and source them in a manner that profits your business. This goes into understanding your supply chain and determining the profitability of your business. Would there be a need to launch into a business that on paper makes no profit but allows you to have a really cool vibrant Instagram page? Not quite. So we will flesh out these topics this month and dive into even creating your brand, understanding your target customer and striking that balance between creativity and commerciality. These next two months will be hard hitting, inspiring and we hope helps you streamline your business and start making a profit. There are other elements to the business as well such as marketing your brand. We want to look into how to choose the right events for your brand, celebrity endorsements and how to stand out. Have you ever asked yourself what you unique selling proposition is? We will help you out with that question. We will also share real life lessons looking into major business brands we admire in Kenya and the rest of Africa so there is something out there to show you the path already travelled. As mentioned in the beginning, this is our second series on business so if you want to catch up from the last one, start here: Business Series. Let’s also share in the comments section of the articles your suggestions or what has worked in your business or even questions we would love to answer them. There is so much to keep learning about this business we call fashion so let’s get into it.